A Checking with all the rewards you want and nothing you don't! *Annual Percentage Yield to be paid on balances held in Rewards Checking when account activity meets qualifications as Advantage Plus or e-Checking up to $5,000. Excess balances will earn our non-promotional stated rate with no maximum balance applicable. Interest rate bonus not eligible on balances held in Money Market Checking. Members may hold multiple Rewards Checking shares, however promotional bonus rate will be paid on first Rewards Checking share ID only. All promotional offers associated with Advantage, Advantage Plus, and e-Checking are subject to change at any time. Federally insured by NCUA. All loans subject to approval. 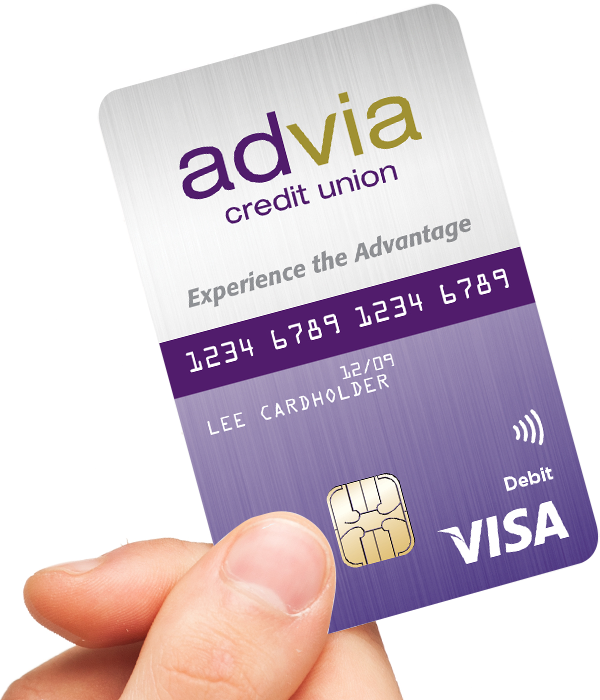 Our Advantage Rewards are designed to reward you based on the services you use. You can become a rewards member anytime and receive 3.00% APY, higher interest rates on deposits, loan discounts, and more! You can become a rewards member at anytime of your membership and receive 3.00% APY*, higher interest rates on deposits, loan discounts and more! No need to enroll, simply use these convenient services and start earning rewards. An active Checking with Direct Deposit of $400+ monthly, at least 1 Digital Banking login, and 5+ Debit Card purchases each month. An active Checking, 15+ Debit Card purchases each month, e-Statements, and at least 1 Digital Banking login per month. An active Checking with Direct Deposit of $400+ monthly OR active Checking Account with a Mortgage. Our highest Checking relationships give you the greatest rewards. Easily earn rewards for simply having a Checking Account. Don't have a Debit Card? Contact Us! Send instant, free, and secure payments to friends and family.